While we look at all of the trees we can only record ‘risks’ where it is necessary – using our experience and judgement to make pragmatic decisions – thus keeping the cost manageable. Alternatively, we can record and plot all trees if required. GPS plotted trees transposed onto site plans. Colour coding to highlight the defective trees, making it easy for tree surgeons to identify the defects and undertake the correct remedial action. 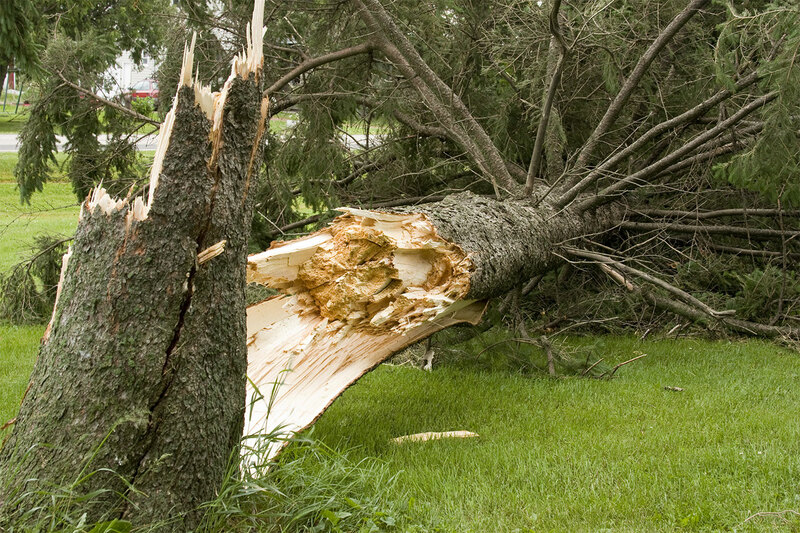 Anyone who owns or manages land containing trees has a legal duty to ensure that they are in a safe condition so that foreseeable damage does not occur due to tree failure. (Occupiers Liability Act 1954/1980). Commercial premises have a further obligation under the Health and Safety at Work Act 1974 to undertake regular tree surveys so that trees do not cause foreseeable damage. Guidance issued by the Government, the Forestry Commission and the Arboriculture Association advises that a tree survey is regularly undertaken by a professional tree surveyor. Failure to do so may leave those responsible liable to prosecution. Twig will undertake a tree survey to identify hazardous trees and our tree report will make prioritised recommendations to reduce owner liability. An inspection frequency will ensure that funds are not wasted inspecting healthy trees in future tree surveys. This is the next level of tree survey whereby details of all trees are recorded within the tree report. This type of tree survey suits clients who wish to have a full inventory of trees within their care. Twig are licensed users of the QTRA System and are able to undertake tree surveys which quantify risk. A figure representing the probability of significant harm occurring is included within the QTRA Tree Report. This type of tree survey is often favoured by those responsible for a very large tree stock. This type of tree survey assesses the extent of decay deep within the tree. This requires the use of specialist tree survey equipment such as a resistograph, or the ultrasound Picus Tomograph machine. Occasionally defects are apparent but their extent cannot be determined during a ground level tree survey, in which case the tree surveyor may recommend that a climbed tree survey is undertaken. Talking costs nothing, so to discuss your tree survey requirements with one of Twig’s qualified tree surgeons, please call 01892 722948 or 01892 723226.